Nicky's family is crazy about Christmas. So much that they celebrate it all year long. While away at college, Nicky meets the boy of her dreams, whose mother left his family years earlier on Christmas day. When he tells Nicky he will be visiting her for Christmas, she comes up with a plan to hide her Christmas obsessed family from him, but things don't go exactly as planned. Experience the holiday season in a whole new way when I’ll Be Next Door for Christmas arrives on Digital December 4. Starring Juliette Angelo (TV’s “Mad Men”), Beth Littleford (TV’s “The Daily Show”), Jonathan Mangum (TV’s “Let’s Make a Deal”), Nicole Sullivan (TV’s “MADtv”, “The King of Queens”), and the absolutely adorable feline sensation Lil BUB (Nine Lives), the film is a heartwarming comedy that reminds viewers that Christmas is all about spending time with family (even if they drive you crazy). The world’s first Christmas movie to use investment crowdfunding successfully, I’ll Be Next Door for Christmas will be available for the suggested retail price of $12.99. 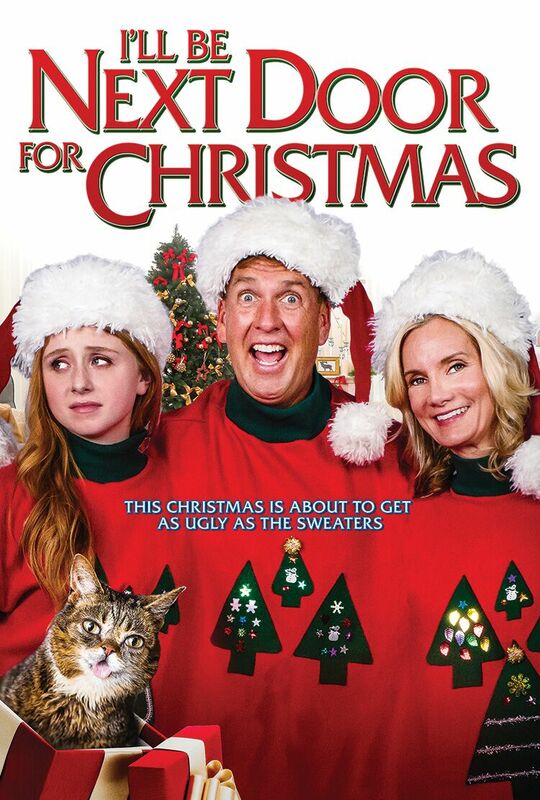 I'll Be Next Door For Christmas is a warmhearted, upbeat comedy feature film about a family that's crazy for Christmas. Except for the 16-year-old daughter – her family’s over-the-top Christmas celebrations have made her life miserable. When her out-of-state boyfriend decides to visit at Christmas, she’s determined to spare him her family’s Christmas craziness, so she hires actors to play her parents and stages a fake Christmas dinner in the empty house next door. What could possibly go wrong? OMG, Loved this movie-it is hilarious and LIL Bub is even more adorable than usual! !